1972 Yamaha LT2 100 Injector oil pump. Original factory used part. Part has normal wear and dirt. PLEASE LOOK AT PICTURES FOR MORE DESCRIPTION AND TO MAKE SURE THIS IS WHAT YOU ARE LOOKING FOR. THANK YOU FOR VIEWING! 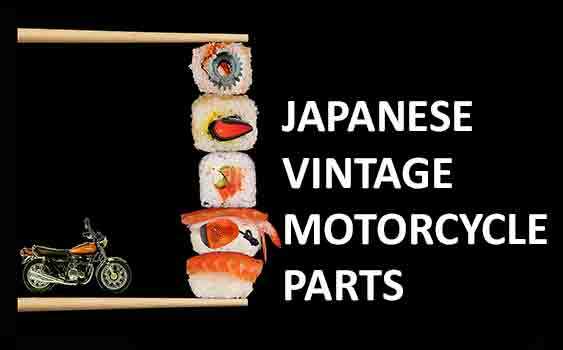 WE CARRY THE LARGEST SELECTION OF VINTAGE JAPANESE MOTORCYCLE PARTS AT DISCOUNT PRICES. OFFERING 30 YEARS OF JAPANESE VINTAGE PARTS EXPERIENCE. WE ARE AT YOUR SERVICE. EXPERTS ON NOS RARE MOTORCYCLE PARTS. We are a "green" company. Our philosophy is to recycle the best years of vintage motorcycles, find those lost parts and give them new life. We love to see abandoned-destroyed-forgotten bikes getting a new lease in their motorcycle life. All our parts and motorcycles are properly stored in our warehouse to avoid corrosion. On used parts you never know of course but we will try to describe them as accurately as we can. Used parts might be dirty and greasy. Consider it free grime. :-) If you are are looking for a specific part that you dont see in our store please contact us. We are adding inventory to our Ebay store daily and we might have what you are looking for. We thank you for visiting us today! Our goal is that you are 100% satisfied with your purchase. Anything that we can do to make your shopping experience with us easier please let us know. All our postings have pictures for a more detailed description but if you need a special shot or a picture to be retaken please let us know and we will be happy to assist. We do our best to provide all the information needed but unfortunately cant guarantee that the part that you are ordering will fit your project bike. So please look at the photos carefully and ask questions. We do love questions so if you are unsure just ask and we will try our best to help. There are no stupid questions. Well maybe some but not many. And we certainly wont tell you which is which. We try to ship as fast as possible. However we take our time on packing properly to avoid shipping damage. If you are in a hurry for tracking info please email us. We are very fast with email communications. We will combine items for shipping discounts on multiple orders. Our preferred carrier s are USPS and UPS. We do USPS by default but if you need UPS contact us for a quote first. For international orders please contact us first so we can get a proper shipping quote for you.